The Planet Mark™ is an internationally recognised and trusted sustainability certification programme, recognising commitment to continuous improvement in sustainability. Impress is the first UK printer to achieve certification to The Planet Mark™ by showing good practice in sustainability, measuring the carbon emissions of our operations and setting a target to reduce emissions annually. A carbon balanced publication printer is one of the highest statements of environmental integrity and credibility for both the end user and those who provide paper based communications. It confirms that the carbon impacts of the whole production of a printed item has been estimated and balanced or offset. 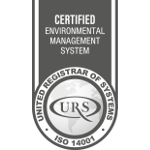 The accreditation recognises excellence in environmental performance across the spectrum of a company’s operation and services. Impress achieved this accreditation through a programme of waste reduction and increased efficiency, then mapping our residual operational carbon footprint to defined boundaries. 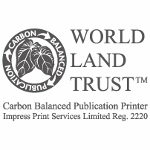 The data was then verified by a third party verification process and the carbon impacts were balanced or offset with the World Land Trust – an international conservation charity. 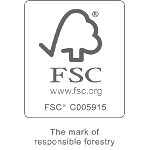 Our environment is important to us and as such we are certified by the Forest Stewardship Council®. The scheme was founded to support the world’s forests and provide an assurance mechanism to print buyers that they are purchasing stock from well managed forests and other controlled sources. Certification with FSC ensures a ‘chain of custody’ through which the end paper product can be traced back to its source. 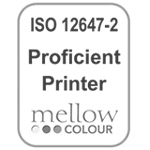 We are committed to excellence in our colour printing and we are proud to say we adhere to the colour standard ISO12647-2. 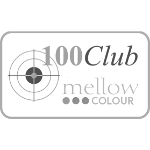 Our considerable investment in software, technology, training and calibration processes, ensures the colour control of your work is highly accurate and importantly, measureable. Our customers come back to us time and time again because of the peace of mind our tight control systems give. Impress is proud to be one of only a few printers in the UK to achieve work which is 100% in compliance with the tight targets and tolerances of the Mellow Colour Quality Management System. The Impress International Security Management System (ISMS) coordinates all security efforts including people, processes and IT systems, coherently and consistently. Our systematic approach to managing confidential or sensitive corporate information ensures it remains secure. As part of our ISMS, Impress are Registered with The Information Commissioner’s Office (ICO) to uphold information rights. ICO promote good practice, rule on complaints, provide information to individuals and organisations and take appropriate action when the law is broken. We have taken the necessary steps to ensure we are GDPR compliant. 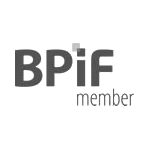 We are fully accredited members of the BPIF. The BPIF is the principal business support organisation representing the UK print, printed packaging and graphic communication industry and is one of the country’s leading trade associations.